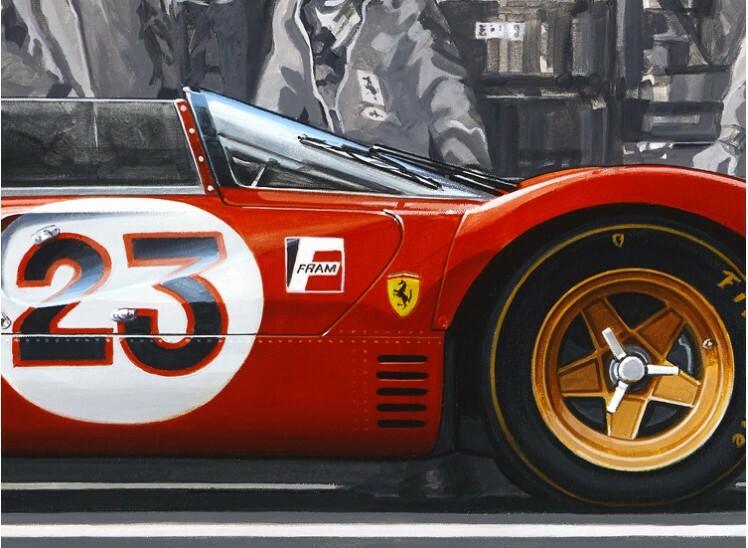 "READY FOR THE GRID" The 2017 Annual Meet of the Ferrari Club of America at Daytona marks the iconic 1-2-3 Ferrari finish at the 1967 Daytona Continental 24 Hours. 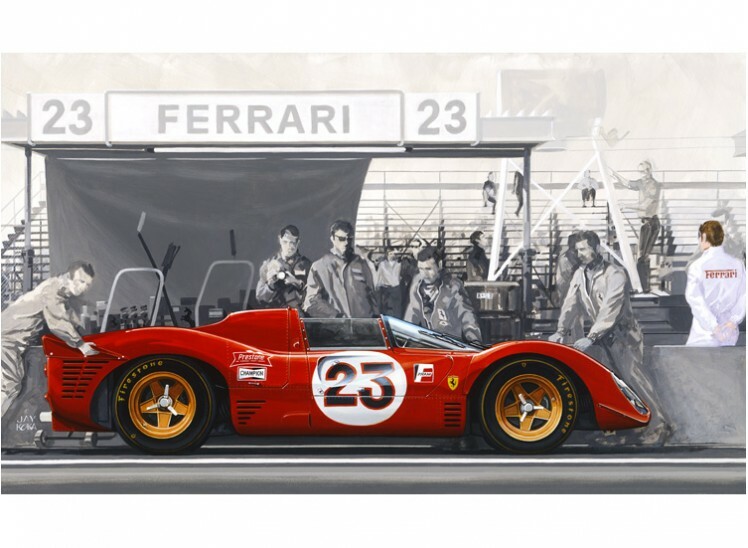 The 330 P3/4 spyder, chassis 0846, winner of the race is featured in the painting titled "Ready for the Grid". Unfortunately 0846 met with a serious accident and at Le Mans a few months later and the remains were destroyed by Ferrari. 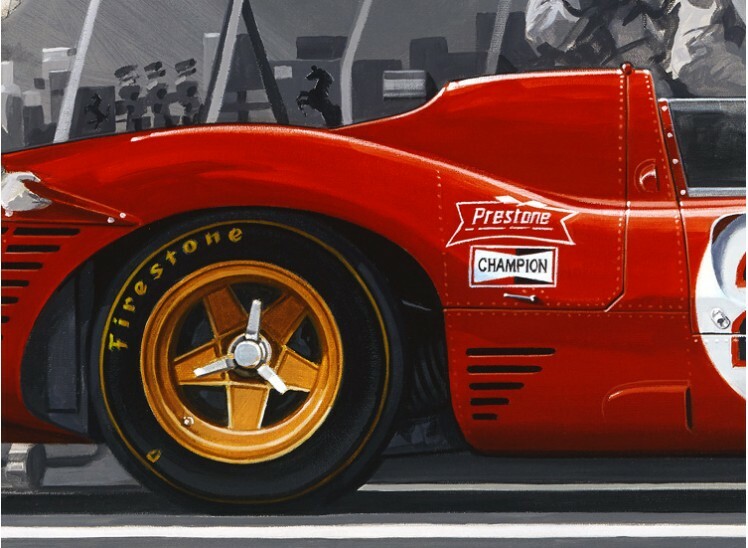 This is the original event art that has been published in an exclusive FCA edition of 500 signed/numbered/embossed prints on paper, approx 10 x 14.5 inches for distribution at the event. 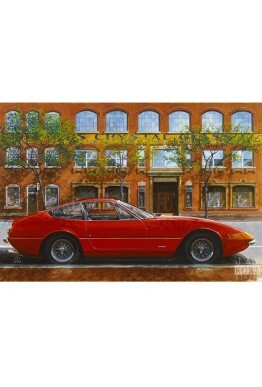 NOW RELEASED in a full size canvas edition of 20 signed/numbered prints at 48x28". SHIPPING: Shipped rolled requiring stretching on arrival. Shipping for Canada and US INCLUDED. For Europe, US$45, please select SHIPPING item from "Shipping, Books&Media" Category.